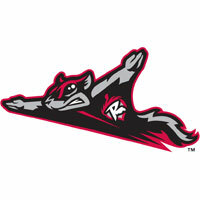 Flying Squirrels slugger Dylan Davis mashed a go-ahead home run in the seventh inning to give Richmond (14-8) a 3-2 win over Hartford (11-11) on Sunday afternoon at The Diamond. Davis’ fifth home run of the year won the series as the Squirrels took two of three from the Yard Goats. Squirrels starting pitcher Shaun Anderson (6IP, 5H, 2R, ER, 6K) was sharp in a no-decision. Davis cranked his fifth home run of the year to snap a 2-2 tie in the bottom of the seventh inning. Davis took relief pitcher Mitch Horacek deep with one-out. Horacek (0-1) was handed the loss while the Richmond bullpen trio of Dusten Knight, Dan Slania and Ray Black each tossed a scoreless inning. Knight (2-0) earned the win and Black picked up his fourth save. The Flying Squirrels opened up a 1-0 lead in the bottom of the first inning. Facing Virginia-native Jack Wynkoop, Ronnie Jebavy rolled a troublesome ground ball to third to start the first inning. Hartford third baseman Bobby Wernes fielded and threw the ball high to first, resulting in a hit and an error. Jebavy advanced to third on a groundout and scored the game’s first run when Ryan Howard lifted a sacrifice fly to deep right field. Richmond moved ahead 2-0 in the third with pitcher Shaun Anderson helping himself at the plate. Leading off the inning, Anderson lifted a double to deep right field. Ronnie Jebavy advanced Anderson on his second hit of the day and Ali Castillo brought him home on a sacrifice fly to left. The Yard Goats tied the game with a pair of runs off Anderson in the sixth. Sam Hilliard and Brian Mundell both singled with one out to get aboard. Anderson flew out Omar Carrizales but then relinquished a base hit to right field. The hit plated Hilliard and the throw from right fielder Matt Lipka was wild, allowing Mundell to score from second on the play. The Squirrels defense scuffled in the contest, committing a season-high four errors. Anderson worked six innings and received as no-decision in his fifth outing of the year. The right-hander allowed two runs (one earned) on five hits. He walked one and struck out six on 84 pitches. Dusten Knight relieved Anderson and tossed a scoreless inning. Hartford starting pitcher Jack Wynkoop also lasted six innings in no-decision. Wynkoop allowed five hits with one walk and one strikeout.